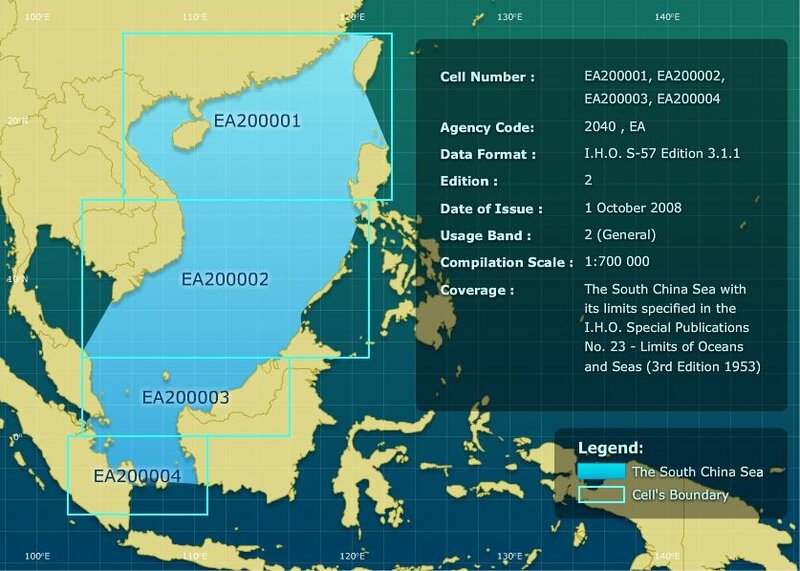 The EAHC produce small scale (1:700.000) official Electronic Navigational Charts (ENC) of the South China Sea to serve the maritime community. Presently, the EAHC has nine Member States (MSs) : China, Democratic People's Republic of Korea, Indonesia, Japan, Republic of Korea, Malaysia, Philippines, Singapore and Thailand. The EAHC decided to provide the SCS ENC to users free of charge. To download the SCS ENC, user has to register with the EAHC. Publications of the IALA about AtoN, AIS, eNAV, VTS... Categories: Guidelines, Manuals, Model courses, Other Publications, Radio-Navigation Services, Recommendations, Reports and Proceedings. The purpose of this manual is to assist Marine Aids to navigation (Aton) authorities in the harmonization of Aton by providing a first point of reference on all aspects of providing an Aton service. the manual also provides references to more detailed guidance from related international organizations on specific topics (2018). La Guía de navegación ha sido un documento emblemático y una fuente de información para los miembros y usuarios de la IALA durante muchos años. El objetivo de este manual es apoyar a las autoridades en Ayudas a la Navegación (AtoN) en la unificación de las ayudas a la navegación marítima, proporcionando un primer punto de referencia en todos los aspectos de prestación de estos servicios. La edición 2014 de la Guía realiza una actualización con la información más reciente y los avances en el campo de las Ayudas a la Navegación, su tecnología y aplicación (También edición 2006). What a shipmaster can expect of the VTS, and what can is expected of the shipmaster. This is the sixth edition of the IALA VTS Manual, which is acknowledged by the VTS community as being the most comprehensive guide to Vessel Traffic Services (VTS) as well as a point of reference for further detailed study. The content is aimed at a wide readership to encompass all who are in any way involved with the policy for provision, operation and effectiveness of VTS, including those with management responsibility at national level and those who deliver services to the mariner. This guideline is intended to engage and support all VTSOs, new and experienced, in promoting best practice in effective VTS radio voice procedures. Furthermore it assists competent authorities, VTS authorities and training organisations when developing standardised operating procedures on communication. It provides guidance that aims to ensure consistency amongst VTSOs when communicating on the VHF (IALA G1132, 2017). Maritime Buoyage System (MBS) and Other Aids to Navigation (AtoN). Contents: Historical background - General Principles of the System - Rules - Map showing Regions A & B (IALA R1001, 2017). Sistema de balizamiento marítimo y otras ayudas a la navegación. Índice: Antecedentes históricos - Principios generales del sistema - Reglas - Mapa de las regiones A y B. (Puertos del Estado). AIS (Automatic Identification Systems) was developed to provide automatic reporting between ships and to shore, which contributes to the safety of navigation and facilitates traffic management by exchanging information such as identity, position, time, course and speed, autonomously and continuously. This guideline provides an introduction to AIS at an overview level for shore authorities and references relevant documentation where further information can be found (IALA Guideline G1082, 2016). This document provides guidance on the use of virtual AtoN risks and benefits, criteria for application, notification process, display, application and delivery methods, applicable standards and guidelines, availability and integrity, legal and liability issues. The concept of virtual AtoN has its roots in AIS but in the future other means of transmission and presentation may evolve. References to AIS in this document should not be construed as limiting virtual AtoN to that system. (IALA Guideline 1081). This Guideline is intended to outline a general description on risk management methodology for marine Aids to Navigation (AtoN) including Vessel Traffic Services (VTS) through the analysis of all the hazards in a waterway so that all transit risks are effectively managed by AtoN authorities (IALA Guideline 1019). In view of the recent opening of shipping routes and the increase in number of voyages in Polar Regions, it is clear there is a need to provide guidance on the special challenges of providing AtoN services in Polar Regions. This Guideline addresses these specific challenges and it is assumed that all other aspects of AtoN provision are dealt with in existing IALA documentation (IALA Guideline 1108). This IALA World Wide Radio Navigation Plan aims to build on individual National and Regional plans and identify the Radio Navigation components which will be key to the successful implementation of e-Navigation. One of the cornerstones of e-Navigation is the universal availability of robust position-fixing, navigation and timing services. This document focuses solely on the need to provide robust electronic position, navigation and timing (PNT) information, primarily via radio navigation systems. It presents the IALA position on current, developing and future PNT systems within the maritime environment. This Maritime Radio Communications Plan (MRCP) has been developed by IALA to assist in the selection of radio communication systems required to support e-Navigation. The current status of radio communication in the maritime mobile bands is discussed and forms the basis of projections for future developments needed to support e-Navigation. The MRCP provides guidance to IALA members regarding potential future developments, which will enable members to identify areas requiring resource allocation and research activity. The core objective of this document is to state the IALA vision for the efficient use of Radio Spectrum in the Maritime Mobile Service. This document focuses on the need for an agreed infrastructure of communications between ships and ashore. Table of DGNSS Stations (Differential Global Navigation Satellite System). IALA radiobeacon DGNSS is a means of providing differential GNSS (DGPS at present) corrections and integrity information to maritime users. Also 2015 version. The purpose of this document is to provide an overview about systems and services enabling high‐accuracy positioning or ranging in specific areas such as waterways, traffic separation schemes, traffic zones with limited manoeuvring space, ports and harbours, and congested waters with increased risks of collisions or groundings. In this Guideline the term “high‐accuracy positioning and ranging” refers to accuracies at sub‐metre level (IALA G1127, 2017). This document considers all types of GNSS vulnerability within the maritime field, and the mitigation measures that may be used to overcome them. The effect on marine navigation of interruptions to GNSS will be significant. Where natural events, such as space weather, affect GNSS signal reception, it is likely that the effects will be observed over large areas and during any phase of navigation. Man-made interference is most likely to arise within coastal waters, since the sources of man-made interference are likely to be land-based and will be restricted to line-of-sight. However, the possibility of deliberate shipborne or airborne jamming cannot be ruled out (IALA R-129, 2012). Service providers are opting to provide eLoran services as part of a robust PNT solution, as eLoran is dissimilar and complementary to GNSS services. The aim of this Guideline is to enable service providers to deliver, monitor and assess the performance of eLoran services in a common manner (IALA G1125, 2017). Principles of the system of port traffic signals. It is intended that the rules for Port Traffic Signals shall be followed to control traffic movements in ports and port approaches (IALA Recommendation E-111, 2005). The International Dictionary of Marine Aids to Navigation (AtoN) is also known as "the IALA Dictionary". The IALA Dictionary provides a listing of words and phrases used to explain and describe planning, operations, management, equipment, systems and scientific terms relevant to AtoN (HTML). Le présent manuel constitue un guide pratique pour toute personne concernée par la rédaction des avertissements de navigation ou par la diffusion de prévisions et d'avertissements météorologiques dans le cadre du système mondial de détresse et de sécurité en mer (SMDSM). Dans cette troisième édition de 1953 les limites proposées sont décrites au cours du texte et représentées sur trois feuilles : Carte mondiale (feuille 1), Méditerranée (feuille 2) et Indonésie (feuille 3). Ces limites ont été établies uniquement pour les besoins des Services hydrographiques nationaux et n’ont aucune signiﬁcation politique. La E-navigation est définie comme « la collecte, l'intégration, l'échange, la présentation et l'analyse harmonisés de renseignements maritimes à bord et à terre par voie électronique dans le but d'améliorer la navigation quai à quai et les services connexes, la sécurité et la sûreté en mer et la protection du milieu marin. » La E-navigation a pour objet de répondre aux besoins actuels et futurs des utilisateurs grâce à l'harmonisation des systèmes de navigation maritime et des services d'appui à terre. Liste des états membres de l'OHI et des états non membres. Liste des services hydrographique membres de l'OHI. Les tables suivantes fournissent des liens avec les catalogues de cartes en ligne des Etats membres de l'OHI. 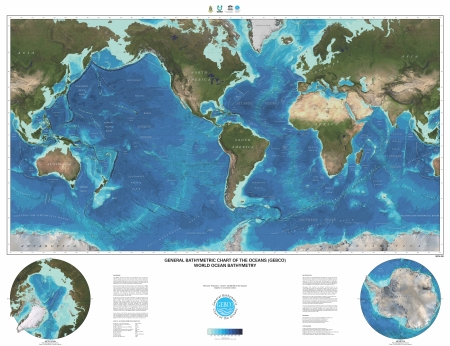 La carte GEBCO mondiale donne la bathymétrie des fonds marins sous la forme d'un carte de 1,3m par 1,0m avec des teintes hypsométriques. La carte est en projection de Mercator à l'échelle de 1:35,000,000 à l'équateur (Carte scannée téléchargable, format PDF et GeoTIFF). Cette carte est également disponible sur le site du BODC. Il existe aussi des cartes bathymétriques en PDF pour l'océan Artique (IBCAO) et pour l'océan Austral (IBCSO). Catalog of online publications: Bathymetric Publications, Capacity Building Publications, Miscellaneous Publications, Periodical, Standards and Specifications. Feedback from those involved in the use of charts and electronic charting systems indicates a requirement to provide guidance on the regulations and the status of equipment that is available in the market today. This document has been produced to help clarify some of the uncertainties. 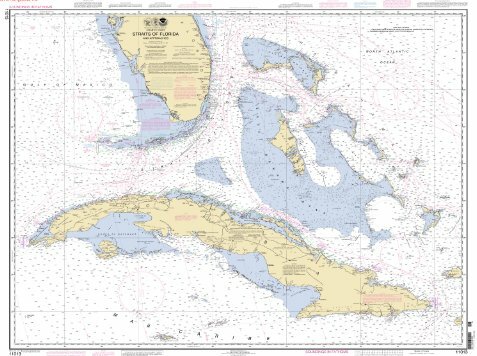 The elements of this product specification define the minimum requirements a Raster Navigational Chart (RNC) must have to satisfy the draft performance standard for a Raster Chart Display System (RCDS). This product specification does not define underlying raster data structures of a raster navigational chart. The national hydrographic office producing the raster navigational chart should select that data structure. The aim of the international chart concept is to facilitate the provision of minimum sets of charts suitable for the navigational requirements of international (foreign-going) shipping. Such internationally-conceived charts will also enable those IHO Member States who provide, or wish to provide, charts outside their own national waters, to print by facsimile reproduction with only superficial modifications, selected modern charts under the terms of a bilateral arrangement between the Member State. This manual provides a practical guide for anyone who is concerned with drafting navigational warnings or with the issuance of meteorological forecasts and warnings under the Global Maritime Distress and Safety System (GMDSS). Also JCOMM upload. E-navigation is defined as “the harmonized collection, integration, exchange, presentation and analysis of marine information on board and ashore by electronic means to enhance berth to berth navigation and related services for safety and security at sea and protection of the marine environment.” E-navigation is intended to meet present and future user needs through harmonization of marine navigation systems and supporting shore services. In this 3rd edtion of 1953 the limits proposed are described in the text and shown in the three accompanying sheets: World Chart (sheet 1), Mediterranean(shet 2) and Indonesia (sheet 3). These limits have been drawn up solely for the convenience of National Hydrographic Office and have no political significance whatsoever. This draft 4th edition of S-23 was developed from 1998 to 2002, based on the 1986 draft. It was submitted to IHO Member States in August 2002 for approval, but the voting process was interrupted by the IHB directing Committee in September 2002. It is a working document only. The 2002 draft 4th edition of S-23 was organized in ten regional chapters. The limits described in this publication have been drawn up solely for hydrographic purposes. It must not be construed as having any legal or political connotation whatsoever. List of member states of the IHO and of non-member states. The following table provides links to IHO Member States online Chart Catalogues. The GEBCO world map shows the bathymetry of the world's ocean floor in the form of a 1.3 m by 1.0 m shaded relief colour map. The map is on a Mercator projection at a scale of 1:35,000,000 at the Equator (Raster map for upload, JPEG file). Further there are Bathymetric PDF charts for the Arctic Ocean (IBCAO) and for the Southern Ocean (IBCSO). Today, IMO has over 200 titles available in English. Many are translated into French, Spanish, Arabic, Chinese and Russian. The guide is intended for Masters, ship owners, Government authorities, insurance companies, and other interested parties involved in rescue-at-sea situations. It provides guidance on relevant legal provisions, on practical procedures to ensure the prompt disembarkation of rescued persons, and on measures to meet their specific needs, particularly in the case of refugees and asylum-seekers. The guide is available in English, Arabic, Chinese, French, Russian and Spanish: Rescue at Sea. A guide to principles and practice as applied to refugees and migrants - فيا البحا لإر دلي نل للمبادئ والم قمارسات االتي تنطبق ذ - 海上救助 适用于难民和移民的原则与实践指 - Sauvetage en mer. Guide des principes et des mesures qui s’appliquent aux réfugiés et aux migrants - Спасание на море. Руководство по принципам и практикам, применяемым к беженцам и мигрантам - Salvamento en el mar. Una guía sobre los principios y prácticas aplicables a refugiados y migrantes. Consolidated edition 2004. The SOLAS Convention in its successive forms is generally regarded as the most important of all international treaties concerning the safety of merchant ships. The main objective of the SOLAS Convention is to specify minimum standards for the construction, equipment and operation of ships, compatible with their safety. Contents: I. General Provisions - II-1. Construction-Structure, subdivision and stability, machinery and electrical installations - II-2. Construction-Fire protection,fire detection and fire extinction - III. Life-saving appliances and arrangements - IV. Radio communications - V. Safety of navigation - VI. Carriage of cargoes - VII. Carriage of dangerous goods - VIII. Nuclear ships - IX. Management for the safe operation of ships - X. Safety measures for high-speed craft - XI-1. Special measures to enhance maritime safety - XI-2. Special measures to enhance maritime security - XII. Additional safety measures for bulk carriers - Appendix Certificates (Also 1974 edition). SOLAS (pour Safety Of Life At Sea, de son nom complet International Convention for the Safety of Life at Sea) est un traité international visant à définir différentes règles relatives à la sécurité, la sûreté et l'exploitation des navires. Traduite en français : Pour la Sauvegarde de la vie humaine en mer. Cette convention s'applique en général aux navires de jauge brute supérieure ou égale à 500 UMS qui effectuent des voyages en eaux internationales. Sommaire : I. Généralités - II-1. Construction - Compartimentage et stabilité, machine et installations électriques - II-2. Protection contre l'incendie, détection et extinction - III. Matériel de sauvetage - IV. Radiocommunications - V. Sécurité de navigation - VI. Transport de marchandises particulières - VII. Transport de marchandises dangereuses - VIII. Navires à propulsion nucléaire - IX. Gestion de la sécurité des opérations du navire - X. Mesures de sécurité pour les navires à grande vitesse - XI-1. Mesures spéciales pour améliorer la sécurité des navires - XI-2. Mesures spéciales pour améliorer la sûreté des navires - XII. Mesures de sécurité additionnelles pour les navires transportant des marchandises en vrac - Annexes. Ships operating in the Arctic and Antarctic environments are exposed to a number of unique risks. Poor weather conditions and the relative lack of good charts, communication systems and other navigational aids pose challenges for mariners. The Guidelines aim to promote the safety of navigation and to prevent pollution from ship operations in polar waters (Resolution A 26/Res.1024). Ships operating in the Arctic environment are exposed to a number of unique risks. The Guidelines aim to promote the safety of navigation and to prevent pollution from ship operations in Arctic ice-covered waters. The Guidelines take into account that Arctic conditions may include sea and glacial ice that can represent a serious structural hazard to all ships. The Guidelines address the fact that the Arctic environment imposes additional demands on ship systems, including navigation, communications, life-saving, main and auxiliary machinery, etc. In addition, the Guidelines recognize that safe operation in such conditions requires specific attention to human factors including training and operational procedures (MSC/Circ.1056 MEPC/Circ.399). The Polar Code is intended to cover the full range of shipping-related matters relevant to navigation in waters surrounding the two poles – ship design, construction and equipment; operational and training concerns; search and rescue; and, equally important, the protection of the unique environment and eco-systems of the polar regions (MEPC 68/21/Add.1 Annex 10: Resolution MEPC.264(68)). Le Recueil sur la navigation polaire vise à couvrir l'intégralité des questions de transport maritime relatives à la navigation dans les eaux qui entourent les deux pôles – cela comprend la conception, la construction et l'équipement des navires; les problématiques opérationnelles et de formation; la recherche et le sauvetage; et, tout aussi importante, la protection de l'environnement et des écosystèmes uniques des régions polaires (MEPC 68/21/Add.1 Annexe 10 : Résolution MEPC.264(68)). This guidance is intended primarily for seafarers. It provides information which will help you if you are unlucky enough to fall into cold water, or have to enter it in an emergency, or have to use survival craft in cold conditions. It also provides information which will help seafarers, trained as first-aid providers, to treat those rescued from cold conditions (Circular MSC.1/Circ.1185/Rev.1). Dieser Leitfaden ist hauptsächlich für Seeleute vorgesehen. Er stellt Informationen zur Verfügung, die demjenigen helfen, der unglücklicherweise ins kalte Wasser fällt, in einem Notfall sich in das Wasser begeben muss oder ein Überlebendfahrzeug bei kalten Bedingungen benutzen muss. Er stellt auch Informationen zur Verfügung, die den als Helfer für Erste Hilfe ausgebildeten Seeleuten helfen, diejenigen zu behandeln, die aus kalten Umgebungsbedingungen gerettet wurden (Rundschreiben MSC.1/Circ.1185/Rev.1). IMO resolutions and IMO circulars about communications systems. Master plan of shore-based facilities for the Global Maritime Distress and Safety System (GMDSS). Content: List of DSC coast stations - List of INMARSAT land earth stations - NAVTEX service - The international SAFETYNET service - HF NBDP MSI broadcast service (Circular GMDSS.1/Circ.22, 2018). Edition 2017. SafetyNET is an international automatic direct-printing satellite-based service for the promulgation of Maritime Safety Information (MSI), navigational and meteorological warnings, meteorological forecasts, Search and Rescue (SAR) information and other urgent safety-related messages to ships. This Manual describes the structure and operation of the International SafetyNET Service. It is intended primarily for national Administrations and registered information providers, but may also be useful to the mariner who requires more operational information than is found in manufacturers' equipment manuals (IMO, MSC.1/Circ.1364/Rev.1, 2017). 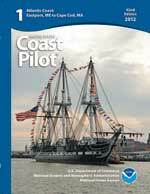 Also the old edition for 2011 and on USCG page the 2011 edition. Édition 2011. Le service SafetyNET est un service automatique d'impression directe qui consiste à diffuser dans le monde entier, par satellite, des avertissements de navigation, des avis et des prévisions météorologiques, des renseignements utiles pour la recherche et le sauvetage (SAR) et d'autres messages urgents concernant la sécurité (renseignements sur la sécurité maritime - RSM) à l'intention des navires. Le présent Manuel décrit la structure et le fonctionnement du service SafetyNET international. Il s'adresse essentiellement aux Administrations nationales et aux pourvoyeurs de renseignements inscrits, mais il peut également servir aux navigateurs désireux de complèter les renseignements fournis par les constructeurs de matériel dans leur manuel d'exploitation. SafetyNET es un servicio internacional automático por satélite de impresión directa, destinado a difundir entre los buques radioavisos náuticos y meteorológicos, pronósticos meteorológicos, información sobre búsqueda y salvamento (SAR) y otros mensajes urgentes relacionados con la seguridad (la información sobre seguridad marítima - ISM). En el presente Manual se describe la estructura y el funcionamiento del servicio internacional SafetyNET. Está destinado principalmente a las Administraciones nacionales y los proveedores de información registrados, si bien también puede ser útil para los navegantes que necesiten ampliar la información operacional proporcionada en los manuales de equipo de los fabricantes. Edition: 2017. NAVTEX is an international automated direct-printing service for promulgation of navigational and meteorological warnings, meteorological forecasts and other urgent information to ships. It was developed to provide a low-cost, simple and automated means of receiving maritime safety information on board ships at sea in coastal waters. 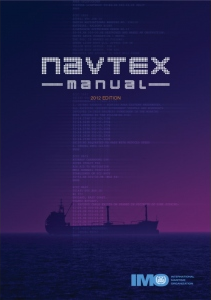 This Manual describes the structure and operation of the NAVTEX Service. It is intended primarily for use by Maritime Administrations and others concerned with the preparation and broadcasting of maritime safety information. It will also be of interest to seafarers, shipowners and others who need to receive such information in order to safely go about their business at sea (IMO, MSC.1/Circ.1403/Rev.1, 2017). Also the 2011 edition. NAVTEX ist ein internationaler automatisierter Sofortdruckdienst zur Veröffentlichung von Navigations- und meteorologischen Warnungen, meteorologischen Vorhersagen und anderen dringenden Informationen an Schiffe. Dieses Handbuch beschreibt den Aufbau und die Ausführung des NAVTEX Dienstes. Es ist hauptsächlich für Schifffahrtsverwaltungen und andere Betroffene im Bereich der Erstellung und Aussendung von Maritimen Sicherheitsinformationen vorgesehen. Außerdem wird es für Seeleute, Reeder und andere, die solche Informationen benötigen, um sicher ihrer Arbeit auf See nachgehen zu können, von Belang sein (BSH). Édition 2011. NAVTEX est un service automatique d'impression directe destiné à être utilisé dans le monde entier pour l'émission d'avertissements de navigation, d'avertissements météorologiques, de prévisions météorologiques et d'autres renseignements urgents à l'intention des navires. Le présent Manuel décrit la structure et le fonctionnement du service NAVTEX. Il a été établi essentiellement à l'intention des Administrations maritimes et autres parties s'occupant de la mise au point et de la diffusion de renseignements sur la sécurité maritime. Il s'adresse également aux gens de mer, aux propriétaires de navires et aux autres parties qui ont besoin de ces renseignements pour se livrer à leurs activités en mer en toute sécurité. NAVTEX es un servicio internacional automatizado de impresión directa para la difusión de radioavisos náuticos y meteorológicos, pronósticos meteorológicos y otros mensajes de información urgente dirigida a los buques. En el presente Manual se describe la estructura y el funcionamiento del Servicio NAVTEX. Está destinado principalmente a las Administraciones marítimas y otras partes que participan en la preparación y transmisión de información sobre seguridad marítima. También es de interés para la gente de mar, los propietarios de buques y otras personas que necesitan recibir esta información para llevar a cabo sin riesgos sus actividades en el mar. This manual provides a practical guide for anyone who is concerned with drafting navigational warnings or with the issuance of meteorological forecasts and warnings under the Global Maritime Distress and Safety System (GMDSS). Also edition 2009 on JCOMM upload. El presente Manual es una guía práctica para todas las personas interesadas en elaborar radioavisos náuticos o en transmitir pronósticos y avisos meteorológicos en el marco del sistema mundial de socorro y seguridad marítima (SMSSM). Edition: 2006. Mobile Facilities. The three-volume IAMSAR Manual provides guidelines for a common aviation and maritime approach to organizing and providing search and rescue (SAR) services. Volume III, Mobile Facilities, is intended to be carried aboard rescue units, aircraft and vessels to help with performance of a search, rescue or on-scene co-ordinator function, and with aspects of SAR that pertain to their own emergencies . Also vol. I and vol. II (View online document). This page provides maritime or joint rescue coordination centres (MRCC or JRCC), solely for their operational purposes, with a minimum list of documents which are essential for such centres to have in their possession or to have rapid and reliable access to a digital version. The list only covers search and rescue and no other tasks which RCCs may require to perform. Edition: 2001 (A 22/Res.918). As navigational and safety communications from ship to shore and vice versa, ship to ship, and on board ships must be precise, simple and unambiguous, so as to avoid confusion and error,there is a need to standardize the language used. 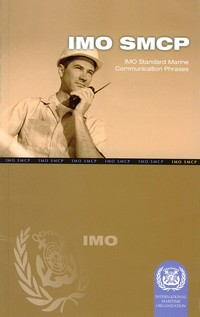 These SMCP have been compiled: - to assist in the greater safety of navigation and of the conduct of ship - to standardize the language used in communication for navigation at sea, in port-approaches, inwaterways, harbours and on board vessels and - to assist maritime training institutions in meeting the objectives mentioned above (Also PDF document from 2000). Η μετάφραση του παρόντος εγχειριδίου έγινε από την αγγλική γλώσσα, με βάση την τελευταία έκδοση του βιβλίου με τίτλο “IMO Standard Marine Communication Phrases” (SMCP, 2002) και βασικός στόχος του είναι να χρησιμοποιηθεί στη διδασκαλία της Αγγλικής γλώσσας. Παράλληλα φιλοδοξεί να αποτελέσει πολύτιμο σύμβουλο για όλους τους αξιωματικούς των πλοίων σε θέματα ναυτικών επικοινωνιώv (Eugenides Foundation). Here is a list of guidance documents adopted by IMO which are relevant to maritime security. The document list can be​ sorted by ''Name", "Title", date of "Adoption" and "Subject" by simply clicking next to each of the sort items. The International Ship and Port Facility Security Code (ISPS Code) formed the basis for a comprehensive mandatory security regime for international shipping. The Code is divided into two sections, Part A and Part B. Mandatory Part A outlines detailed maritime and port security-related requirements which SOLAS contracting governments, port authorities and shipping companies must adhere to, in order to be in compliance with the Code. Part B of the Code provides a series of recommendatory guidelines on how to meet the requirements and obligations set out within the provisions of Part A (2003). These Guidelines provide high-level recommendations for maritime cyber risk management. For the purpose of these Guidelines, maritime cyber risk refers to a measure of the extent to which a technology asset is threatened by a potential circumstance or event, which may result in shipping-related operational, safety or security failures as a consequence of information or systems being corrupted, lost or compromised. Supersedes MSC 1/Circ. 1526, 2016 (MSC-FAL.1/Circ.3. 2017). More information about: Cyber Risk. This circular aims at bringing to the attention of shipowners, companies, ship operators masters and crews the precautions to be taken to reduce the risks of piracy on the high seas and armed robbery against ships at anchor, off ports or when underway through a coastal State’s territorial waters. It outlines steps that should be taken to reduce the risk of such attacks, possible responses to them and the vital need to report attacks,both successful and unsuccessful, to the authorities of the relevant coastal State and to the ships’ own maritime Administration. Such reports are to be made as soon as possible, to enable necessary action to be taken (MSC.1/Circ. 1334, 2009). More information about piracy. This document is intended to advise Best Management Practices (BMP) to assist companies and ships in avoiding piracy attacks, deterring attacks and delaying successful attacks in the Gulf of Aden (GoA) and off the Coast of Somalia (MSC.1/Circ.1339, 2011). Also: Update. Best Management Practices (BMP) to deter piracy and enhance maritime security in the Red Sea, Gulf of Aden, Indian Ocean and Arabian Sea. The purpose of this publication is to help ships plan their voyage and to detect, avoid, deter, delay and report attacks. Experience has shown application of the recommendations in this publication makes a significant difference to the safety of seafarers (MSCHOA, 2018). El Comité de Seguridad Marítima es el más alto órgano técnico de la Organización. Está integrado por todos los miembros. Entre las funciones del Comité de seguridad marítima se incluye "examinar todas las cuestiones que sean competencia de la organización en relación con ayudas a la navegación, construcción y equipo de buques, dotación desde un punto de vista de seguridad, reglas destinadas a prevenir abordajes, manipulación de cargas peligrosas, procedimientos y prescripciones relativos a la seguridad marítima, información hidrográfica, diarios y registros de navegación, investigación de siniestros marítimos, salvamento de bienes y personas, y toda otra cuestión que afecte directamente a la seguridad marítima" (DIRECTEMAR). El Comité de protección del medio marino, que se compone de todos los Estados Miembros, está facultado para examinar toda cuestión que sea competencia de la organización en relación con la prevención y contención de la contaminación del mar, ocasionada por los buques. Especialmente se ocupa de la aprobación y enmienda de convenios y otras reglas y medidas para garantizar su observancia (DIRECTEMAR). Wenngleich überaus hilfreiche IMO-Richtlinien zu ECDIS auf diese stufenweise Art entwickelt wurden, war es erforderlich, dass die Informationen nach Möglichkeit zusammengefasst werden, um ECDIS-relevante Richtlinien in einem einzigen Rundschreiben zu haben, das ohne Wiederholungen oder ständige Bezugnahme leicht auf dem neusten Stand gehalten werden kann. Diese Informationszusammenfassung ermöglicht ein klares und eindeutiges Verständnis hinsichtlich der Pflichtausrüstung und der Verwendung eines ECDIS (IMO-Rundschreiben MSC.1/Circ.1503). The Organization has developed these Guidelines on fatigue to assist all stakeholders in better understanding their roles and responsibilities in mitigating and managing the risk of fatigue. The Guidelines provide information on the causes and consequences of fatigue, and the risks it poses to the safety and health of seafarers, operational safety, security and protection of the marine environment. It has been prepared to assist all stakeholders in contributing to the mitigation and management of fatigue. The Guidelines are composed of modules each devoted to an interested party. The modules are as follows: Fatigue - Fatigue and the company - Fatigue and the seafarer - Fatigue, awareness and training - Fatigue and ship design - Fatigue, the Administration and port State Authorities (MSC.1/Circ.1598, 2019). This guide shows designated first-aid providers how to diagnose, treat, and prevent the health problems of seafarers on board ship. It contains fully updated recommendations aimed to promote and protect the health of seafarers and is consistent with the latest revisions of both the WHO Model List of Essential Medicines and the International Health Regulations.Including the ship's medicine chest (ILO/IMO/WHO). CD demos for: The IMO-Vega Database, IMO SMCP on CD, IMO Labels & Symbols on CD (Zip/exe file for Windows). You can also set up a two-day trial of IMO-Vega on the Web, IMDG Code on the Web, SOLAS on the Web, SOLAS Plus on the Web and MARPOL on the Web. Need a Trial Account. The trials will be active for two working days from the date they are requested (Weekend are not included). Each trial can only be accessed once every year. View and download the supplements by language (pdf files): English, French, Spanish, Arabic, Chinese and Russian. Publications of the general secretariat, radiocommunication sector (ITU-R), telecommunication qtandardization sector (ITU-T) and telecommunication development qector (ITU-D). Catalog of maritime publications: Manual for use by the maritime mobile and maritime mobile-satellite services (Maritime manual) - List IV: List of coast stations and special service stations - List V: List of ship stations and maritime mobile service identity assignments. The radio regulations, edition of 2012, contains the complete texts of the radio regulations as adopted by the world radiocommunication conference, including all Appendices, Resolutions, Recommendations and ITU-R Recommendations incorporated by reference. The maritime manual, edition of 2011. This manual reflects the regulatory provisions and the latest decisions concerning the maritime services by ITU conferences (including relevant decisions pertaining to the introduction of new systems and techniques). The manual is required to be carried by stations on board ships (View online documents). Volume 1 provides descriptive text of the organisation and operation of the GMDSS and other maritime operational procedures. Contents: 1. Introduction - 2. System overview of the GMDSS - 3. The scope of activities and responsibilities - 4. General rules of the GMDSS - 5. Radio procedures - 6. Operational procedures for distress, urgency and safety communications - 7. The use of frequencies - 8. Radio personnel requirements - 9. Identification of stations - 10. Other administrative and operational procedures - 11. Related publications - Annexes. Compilation of amendments and extracts. List IV contains important information for the mariner in relation to radiocommunications, including the GMDSS (Global maritime distress and safety system) and CP (Public correspondence) services. Detailed information is provided in relation to the facilities available at each maritime coast radio station, which may provide watch-keeping using digital selective calling (DSC) techniques and radiotelephony (2017). Compilation of amendments and extracts. This list shall be provided to all ship stations for which a Global Maritime Distress and Safety System (GMDSS) installation is required by international agreement. 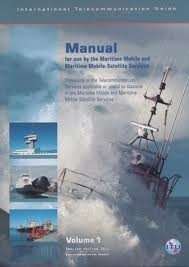 ​This page contains maritime related recommendations (Recommendations ITU-R M series). The ITU-R recommendations constitute a set of international technical standards developed by the Radiocommunication Sector (formerly CCIR) of the ITU. ITU-R M series reports, related to maritime radiocommunications. A report is a technical, operational or procedural statement, prepared by a study group on a given subject related to a current question or the results of studies referred to in § 3.3 of resolution ITU-R 1. GLAD is an online data retrieval-system and a central repository of ITU-R common information concerning administrations and geographical areas. MARS is a free of charge, online access and retrieval system that allows users to consult the information currently registered in the ITU’s maritime database system. Publications du secrétariat général, du secteur des radiocommunications (UIT-R), du secteur de la normalisation des télécommunications (UIT-T) et du secteur du développement des télécommunications (UIT-D). Catalogue en anglais avec certains ouvrages disponibles en français. Catalogue des publications maritimes : Manuel à l'usage des services mobile maritime et mobile maritime par satellite (Manuel maritime) - Liste IV : Nomenclature des stations côtières et des stations effectuant des services spéciaux - Liste V : Nomenclature des stations de navire et des identités du Service Mobile Maritime assignées. 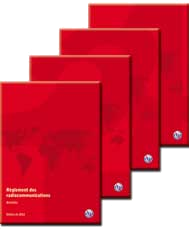 Le règlement des radiocommunications édition 2012 est composé de 4 volumes. Il contient le texte complet du règlement des radiocommunications tel qu'il a été adopté par la conférence mondiale des radiocommunications y compris tous les appendices, résolutions, recommandations et les recommandations UIT-R incorporées par référence. Les Recommandations UIT-R (anciennement CCIR) constituent un ensemble de normes techniques internationales développées par le Secteur des Radiocommunications de l'UIT. Page en anglais avec certaines recommandations disponibles en français. Rapports de la série M de l'UIT-R liées aux communications radiomaritimes. Un rapport est un exposé technique, d'exploitation ou de procédure préparé par une commission d'études sur un sujet donné. Un rapport concerne une question dont l'étude est en cours ou bien les résultats des études, études dont il est question au § 3.3 de la résolution UIT-R 1. Page en anglais avec certaines recommandations disponibles en français. NCAGS guide to owners, operators, masters and officers. ATP-02.1 is a publication which provides information to ship owners, operators, masters and officers regarding the interaction between naval forces and commercial shipping. In particular the publication serves as a handbook for the world-wide application of NCAGS principles and procedures that exist to enhance the safety of shipping in times of tension, crisis and conflict. Guidelines for Owners, Operators and Masters. Piracy and armed robbery (hereafter referred to as piracy) in the Gulf of Guinea region is an established criminal activity and is of increasing concern to the maritime sector. With attacks becoming more widespread and violent, industry has now identified an urgent need to update these Guidelines. Even though the statistics from the different reporting centres vary, the fact is that The Far East, including Malacca Strait, Indonesia and South China Sea, is the area where most of the reported incidents have taken place in 2015.Incidents reaching from theft and robbery in port to hijacking of vessels. 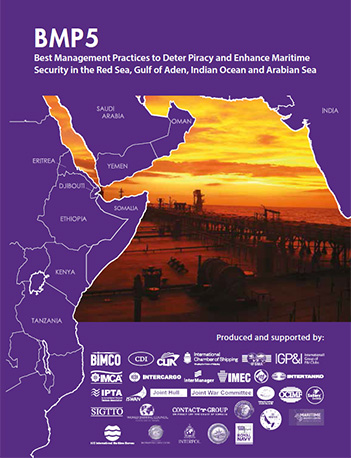 Best management practices to deter piracy and enhance maritime security in the Red Sea, Gulf of Aden, Indian Ocean and Arabian Sea (BMP5, 2018). Seafarers have encountered different security threats when operating ships in the Red Sea, the Gulf of Aden, the Indian Ocean and the Arabian Sea. The purpose of this publication is to help ships plan their voyage and to detect, avoid, deter, delay and report attacks. Experience has shown application of the recommendations in this publication makes a significant difference to the safety of seafarers. The BMP contained in this publication mitigates the risk from piracy and other maritime security threats. The fundamental requirements of BMP: Understand the threat - Conduct risk assessments -Implement ship protection measures - Report - Cooperate. Best Management Practices for Protection against Somalia Based Piracy (BMP4, 2011). This document is intended to advise Best Management Practices (BMP) to assist companies and ships in avoiding piracy attacks, deterring attacks and delaying successful attacks in the Gulf of Aden (GoA) and off the Coast of Somalia. Experience and data collected by Naval/Military forces, shows that the application of the recommendations contained within this booklet can and will make a significant difference in preventing a ship becoming a victim of piracy. This document summarizes the current scientific knowledge of sea survival for mariners, aviators, search and rescue technicians and medical staff. The text discusses key issues such as drowning through cold shock and swimming failure induced by immersion in water particularly below 15 Celsius, survival prediction curves and non-freezing cold injuries. Practical advice is given on the causes and treatment of seasickness (NATO/STO/CSO, RTO-AG-HFM-152). NATO Shipping Centre advises all mariners to use and comply with procedures contained in Maritime Security Charts produced by United Kingdom Hydrographic Office. NCAGS Guide to Owners, Operators, Masters and Officers - Best Management Practices for Protection against Somalia Based Piracy. In the Global Maritime Distress and Safety System (GMDSS) Services METAREAs or NAVAREAs are regions of the oceans for which specified nations have the responsibility for the co-ordination of the provision of meteorological and other marine safety information. Show national marine weather services sea area maps and satellite/Navtex/Facsimile broadcasts: click on the Metarea list with roman numerals. This Manual is designed: (a) To facilitate cooperation in respect of the international coordination of marine meteorological services (MMS); (b) To specify obligations of Members in the implementation of MMS; (c) To ensure uniformity in the practices and procedures employed in achieving (a) and (b) above; (d) To facilitate the development of adequate support from World Weather Watch (WWW) to MMS. The Manual is composed of Volumes I and II, dealing with global and regional aspects, respectively (JCOMM upload). Volume I is composed of four parts that contain the regulatory material dealing essentially with international obligations of Members to provide MMS for the high seas, coastal and off-shore areas, harbour approaches and ports. Additional obligations, if any, for national marine activities should be met according to local practices and procedures. Volume II is divided into sections corresponding to the six Regions of WMO. El presente Manual tiene por objeto: a) determinar las obligaciones de los Miembros en lo que respecta a la ejecución de los servicios meteorológicos marinos; facilitar la cooperación en materia de coordinación internacional de los servicios meteorológicos marinos, en concreto el suministro del Servicio mundial de información y avisos meteorológicos y oceanográficos de la OMI y la OMM; facilitar la cooperación entre la Vigilancia Meteorológica Mundial y los servicios meteorológicos marinos; velar adecuadamente por la uniformidad y la normalización de las prácticas y los procedimientos empleados para conseguir los objetivos enunciados en a), b) y c). 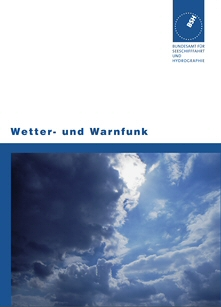 The purpose of this Guide is to complement the Manual on Marine Meteorological Services as follows: (a) Describing the requirements for the various types of service; (b) Explaining the rationale for the agreed methods of providing services; and (c) Giving guidance on how to go about setting up and maintaining marine meteorological services. Le présent Guide, qui constitue le complément du Manuel de l'assistance météorologique aux activités maritimes, s'attache à : a) décrire les besoins correspondant aux diverses formes d'assistance; b) justifier l'emploi des méthodes d'assistance retenues; c) indiquer comment mettre en oeuvre et perpétuer l'assistance météorologique aux activités maritimes. La presente Guía responde al propósito de completar le Manual de Servicios Meteorológicos Marinos como sigue: a) describir las necesidades requeridas para los distintos tipos de servicios; b) explicar las razones a que responden los métodos convenidos para la prestación de servicios; c) orientar sobre la manera de constituir y mantener servicios meteorológicos marinos. This Atlas describes the classification system for clouds and meteorological phenomena used by all WMO Members. The classifications also describe meteorological meteors other than clouds – hydrometeors, lithometeors, photometeors, and electrometeors. The Atlas provides a common language to communicate cloud observations, and ensures consistency in reporting by observers around the world. It serves as a training tool for meteorologists, as well as for those working in aeronautical and maritime environments, and it has become popular with weather enthusiasts and cloud spotters. Web version of the Manual on the Observation of Clouds and Other Meteors (WMO-No.407). Volume II of the International Cloud Atlas contains 196 pages of photographs, 161 of which are in colour, accompanied by concise yet detailed captions (WMO-No.407). Le volume II de l'Atlas international des nuages comprend 196 pages de photographies, dont 161 en couleur, avec légendes explicatives (OMM-No.407). Volume I contains a descriptive and explanatory text concerning the general classification of meteors (Part I), clouds (Part II) and meteors other than clouds (Part III). Volume II contains 196 pages of photographs, 161 of which are in colour, accompanied by concise yet detailed captions (WMO-No.407). Le volume I contient un texte descriptif et explicatif sur la classification générale des météores en général et des nuages en particulier. Le volume II comprend 196 pages de photographies, dont 161 en couleur, avec légendes explicatives (OMM-No.407). The subject of this Guide is ocean waves, and specifically those generated by the wind. The objective of this Guide is to provide basic information and techniques in the analysis and forecasting of ocean waves. It focuses on providing a general overview with more detail on aspects considered useful in the practice of wave analysis and forecasting. The primary users of this publication are seen as being professionals and technicians involved in operations which are affected by ocean waves. The Guide is equally intended for the potential users of wave data analyses, forecasts and climatological products (1998). GRIB is a file format for the storage and transport of gridded meteorological data, such as Numerical Weather Prediction model output. It is designed to be self-describing, compact and portable across computer architectures. The GRIB standard was designed and is maintained by the World Meteorological Organization. A centralized web site for severe weather around the world. This is a World Meteorological Organization (WMO) web site that provides a single and centralized source for tropical cyclones, heavy rain, gale, fog and thunderstorms. For example whenever a tropical cyclone develops, a tropical cyclone symbol will show up on the front page of this website with both position and strength indications. Furthermore, users can make use of the links provided in this website to find more information about these tropical cyclones such as forecast tracks and warnings issued.